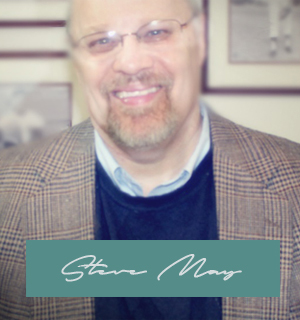 Hi, I’m Steve May, founder and editor of Preaching Life. If you’re like most of my readers, you’re involved in ministry — either as a pastor, a teacher, or a Bible study leader. And, most likely, you’re always on the look out for the kind of resource that will help you take the next step in leadership, discipleship, and excellence in ministry. If so, I think you’ll like my blog. The content here is taken mostly from the archives of resources I’ve developed over the years: books and sermons and devotionals, most of which are featured at Preaching Library — as well as new content being added along the way. For the past 25 years I have worked with pastors and teachers, providing tools to assist them in sermon preparation, as well helping them sharpen their communication / public speaking skills. I also spent ten years doing ministry in poor communities in Rio de Janeiro: planting a church, preaching, teaching English classes, and building a medical clinic. Today my focus is serving those called to communicate the gospel — via the resources mentioned above, as well coaching one-on-one as many pastors as my schedule allows. Thanks again for visiting this site. My prayer is that with each visit you’ll receive a word of encouragement to help you keep moving forward in your life of service to Jesus Christ.